Over the weekend, Gowanus Grove quietly hosted its last event of the season, the wedding of Ariana Souzis and Joel Hamburger. 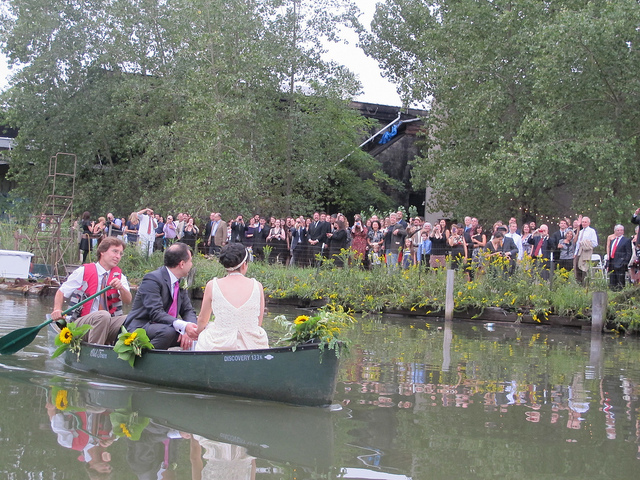 The couple said “I do” under the trees and then canoed away into the sunset… It’s been a great summer. We hope to be out there again next year. Until then, we’ll see you on Saturday nights.